13 Great Debate 2 | What Is the Future Role of Policy? 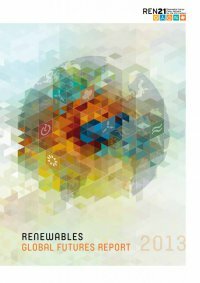 Only a few countries had renewable energy support policies in the 1980s and early 1990s, but many more countries, states, provinces, and cities began to adopt such policies during the period 1995–2005, and especially during the period 2005–2012. The number of countries with some type of support policy related to renewable energy more than doubled during this latter period, from an estimated 55 in early 2005 to some 120 by early 2012. At the national, state, provincial, and local/city levels, policies have played a major role in driving renewable energy markets, invest- ments, and industry growth. However, not all policies have been equally effective, and success has often rested on detailed design and implementation. Consequently, governments continue to update and revise policies in response to design and implementation challenges and in response to advances in technologies and market changes. These targets and support policies will continue to exert a strong influence on national markets in the years and decades ahead. In the future, national policymakers will confront a wide range of choices and considerations in continuing, updating, and retiring existing policies, and creating new ones. As renewables become more integrated with existing infrastructure, policymakers will confront the need for new policies to achieve these various forms of integration. In interviews, policy and industry experts offered a wide range of views about the role of policy. For example, some foresaw a cascade of new policies for renewable heating and cooling to match existing policies for electricity. And many foresaw the evolution of policies such as feed-in tariffs, but disagreed about when such evolution would need to take place. Scenarios incorporate a wide variety of policy mechanisms, taken in various combinations over various time frames. Indeed, policy is one of the main drivers in moderate and high-renewables scenarios. Common policies that many experts and scenarios project for the future include: n Legally binding targets for renewables n Electricity market reforms for power generation and combined heat and power (CHP) n Publicly supported research, development, and commercialization n Feed-in tariffs, quotas, and/or other finance-attracting policy regimes n Subsidies, tax credits and abatements, and other cost-reduction incentives n Market aggregation policies n Energy efficiency standards for equipment, vehicles, and materials n Building codes and standards (both national codes and local policies) n Emissions trading and cap-and-trade schemes for both power and heat supply n Carbon taxes n Industrial policies that target renewable energy for jobs and international competitiveness n Social policies that target renewable energy for its social benefits n Frameworks for energy prices that reflect the full cost of energy, including environmental and social costs n Phase-outs of subsidies for fossil fuels and nuclear power Experts questioned how strong such policies need to be in the future, or how much political will exists to enact new policies or maintain existing ones. Experts were also concerned about whether existing policies would continue in specific countries, and some wondered how Japan’s Fukushima accident would affect policies in Japan and elsewhere. And developing country experts noted many energy and development issues for policymakers in the future. (See Chapter 5.) Finance experts questioned how future energy policy could become more consistent with financial risk-return perspectives. They suggested that policymaking will move beyond traditional cost-benefit perspectives, such that in the future, policymakers will ask, “what are the highest-return and lowest-risk energy options and portfolios, and how do we support those?” rather than the historical question of, “what is the cost of renewables compared to the cost of other energy sources?” Finance experts also wondered about future carbon policies and how such policies would affect renewable energy. Many high- renewables scenarios incorporate some type of carbon policy, such as carbon taxes and emissions trading schemes. ExxonMobil, in its 2012 Outlook for Energy, noted: “Because of emerging policies that will seek to curb emissions by imposing a cost on higher- carbon fuels, use of renewable energy … will grow significantly.” Many experts pointed to policies for power grid integration as a key area for policymaking in the future, as do most scenarios. For example, the IEA WEO (2010) says that: “policies to facilitate the integration of variable renewables (such as wind power) into networks are important. Such policies can range from better planning for transmission projects to the development of smart grids, the creation of demand response mechanisms and the promotion of storage technologies.” Notes and discussion: See Annex 4. Source: See Endnote 15 of the report's Introduction.